← This is how the Police state operates! THis is a beautiful sight to see! Shout out to the brotehrs and sisters in Ghana. Salute! If you’re in Ghana or will be visiting Ghana soon, check out our Abibifahodie Asako (Afrikan Combat Kipura) classes at the Lion House Afrikan Cultural Center, every Saturday at 10:00AM! Call or email for details. 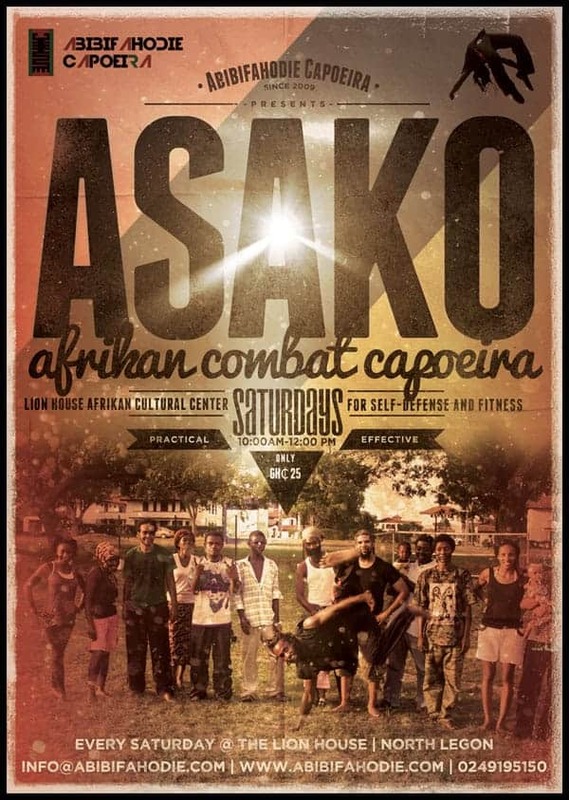 About Abibifahodie Asako Afrikan Combat Capoeira. aOur logo is a newly created adinkra symbol called Abibifahodie ‘Afrikan Liberation’ and formed out of two pre-existing Adinkra symbols, namely akobɛn with the accompanying proverb in the Twi language of Ghana Akobɛn bɔ a, na yɛhunu mmarima ‘ .